Christmas is a time for giving but finding the perfect gift for someone can be fraught with potential pitfalls. The office secret Santa can amplify these problems and so it is always worth considering whether it is something which should be organized through management, left up to individual teams to decide upon among themselves or banned altogether as a bad idea. Of course, every one of these options has merits, depending on your workplace, but if you are hoping to set a precedent then you need to consider all the factors involved. Some people simply don’t have the spare cash to get involved in a secret Santa, especially at Christmas when there is extra pressure on family finances to stretch further than they normally would. 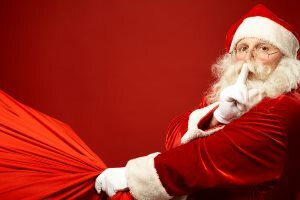 You know how much you are paying your staff, so if you have members of your team who you think might struggle even with a low budget secret Santa, then it is best to avoid putting them in an awkward position. This doesn’t necessarily mean you cannot have a secret Santa, but you might need to be creative. You can make it a ‘voucher’ system where employees are encouraged to offer a non-monetary gift, such as making cups of tea, doing someone’s filing or watering their plants. You can also have an opt-in system so that nobody has to be a part of it if they don’t want to. Sometimes secret Santa can be inappropriate, and the working environment should always be considered before instigating a company-wide arrangement. For example, a company that just announced redundancies may not be the best place to involve staff in a game where one of those being laid off might end up having to buy a present for a staff member that had to make the difficult decision to choose them, or even a member of senior management. Being mindful of the atmosphere in the workplace is vital to making the right decision; so, it is always worth discussing ideas with the lead decision makers. If you have a fairly stable staff, secret Santa is a relatively straight-forward affair. You choose a sum of money to spend, put everyone’s name in a hat and hand off the presents on a designated day. However, the nature of Christmas means that there is likely to be a lot of annual leave taken, not to mention that it is peak season for a lot of industries; so, staff members may be working long hours, travelling a lot or under increased pressure just to get their work done. Although adding an extra task to the to-do lists of every member of staff in your workplace may be designed for fun, this could actually contribute to people’s stress levels; so, making it an opt-in affair is often a good way to avoid having the opposite effect to the one intended. It is also important to ensure that everybody involved actually contributes to avoid bad feeling between colleagues. Ensure that the whole secret Santa is overseen by someone who can keep track of the process. In some workplaces, teams decide to organize their own gift-sharing arrangements, which is usually a good compromise and allows people to set their own rules and avoid management interference. This can make a lot more sense than a company-wide secret Santa, which may take a lot of organisation. This approach is also more beneficial because people who work in teams together usually know one another reasonably well, meaning many of the issues listed are negated. Satnam Brar, Managing Director, founded Maximus in 2002. Maximus is an Oracle Gold Partner which specialises in recruitment in the ERP, CRM & Database sectors, specifically ORACLE, MS Dynamics, Salesforce.com and SAP. We handle a complete range of Oracle, MS Dynamics, Salesforce.com (SFDC) and SAP Jobs, both in the UK and around the globe in such key markets as the Middle East and continental Europe.